Not many things could top our excitement with filming about to begin on Man of Steel 2, but today The Man from U.N.C.L.E. cinematographer managed to do so! "I thought Henry was terrific. He plays it quite humorously, everything's slightly quirky, slightly sharp. It was very comic strip in some ways, I mean that in a good way." "He plays it very differently [to Superman], this is much more earthbound. He's a peacock, and he's very funny. I thought he was great." Those are the kinds of comments that have us wishing the film would open NOW. Of course we have to wait until January, but Mathieson confirms what we'd heard from fans who visited the sets: this is gonna be an awesome, funny, action-packed film. Read more about the look and the mood director Guy Ritchie was trying to achieve during filming, then catch up on ALL of our U.N.C.L.E. coverage with the help of these handy links: 1/2. For everything else check out our gallery. Its not clear if WB will continue a stand-alone Man of Steel franchise. Good news is, even if they don't, UNCLE could well turn into a franchise for Mr. Cavill. Can't wait for it's release! Cavill is the best dressed man anywhere, sooo sharp, a real stand up Ladd.......xoxo Love u Henry! Love the "peacock" reference and that he gets to be funny in the film. MOS was pretty dark and didn't give Henry a broad range of material. I kinda hope WB doesn't continue to Man of Steel franchise and he gets 4 films as Hans Solo. After Batman vs Superman he has 3 options so if they have him do those as Man From uncle films he'd get 4 all told. And a very lucrative payday too. Yes. Uncle takes 6 weeks to film. MOS takes 8 months. If Henry were to ask to focus on Man From Uncle films only after Batman Superman and leave the Superman role it gives him lots, lots more free time and flexibility. To take time for himself, to work on other film projects. He won't get paid as much but if you break it down by hours - 6 weeks vs 8 months, it's probably a wash. Hope he is considering this and especially if Affleck gets all the attention in the next film what good is it to stay on as Superman. I think some of Cavill's fans would like to see him switch to Man From Uncle films instead of Superman. I am writing him a letter about this. Not sure how it would work or if it could. Since WB has to cast most of JL anyway next year, if Henry came to them early on, like this year, and asked to not do JL it gives WB time to cast. Henry then gets to focus on the UNCLE franchise and other projects. Henry Cavill was contracted for six movies. At least for three movies, he is suppose to play Superman. The other three movies were open. 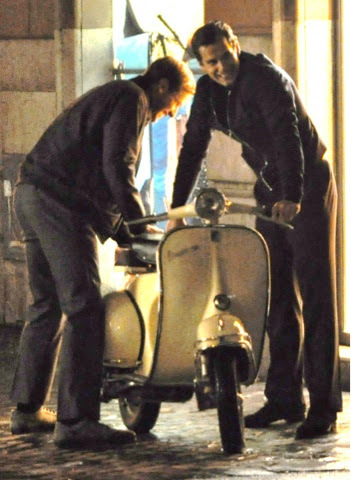 It is a little to early to start planning a franchise for The Man from Uncle. We don't have any idea how it will do in the box office. We don't know if it can generate enough interest to cover it's cost and make profit. The budget for Uncle was $70 million. It does not include the cost of promoting the movie. The fan base may not be big enough to sustain for more movies. In the other hand, Superman has a huge fan base. We are talking millions of fans around the world. Superman franchise has a better chance of being continue especially if MOS II has a better script and does well. Also rumor has it that this movie will be two parts. The second part will be the Justice League movie. If Henry Cavill backs out now from playing Superman, it may be a breach of contract. If that is case, I can only guess at the ramifications it will have on him and his future with Warner Bros.
Like I said I don't know if it can be done. Henry was set for 3 Superman films. I assume he expected those to be MOS 1, 2 and 3 where he is the star surrounded by a Superman supporting cast. That didn't happen. He is a co-star now. My idea is not that he back out from Batman vs Superman but that he talk with WB about leaving the role after that. I've heard rumors about the next one being a cliffhanger with Superman driven off the planet by Batman at the end of the film. It might provide a nice change point in the JL that Superman comes back to Earth but as a new actor. Studios do these things all the time. 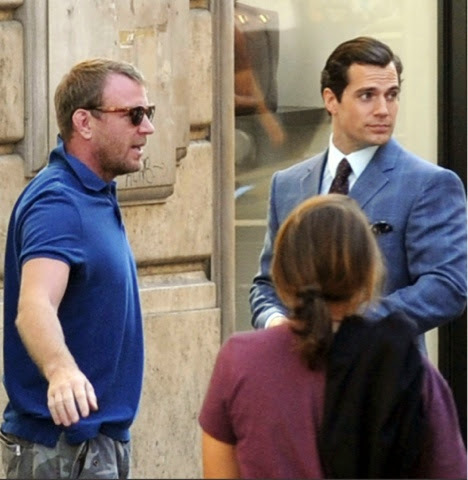 Man From Uncle may be strategically a better place for Henry's career at this point. Now maybe this can't be done and if not then its moot. But if WB is open to it and really wants him in UNCLE films more so than JL films they might go for it. The Man from Uncle's future is just so uncertain. We just have to wait until next year and see. Also Henry Cavill was not the first choice to play Solo. Rumor has it that George Clooney and Tom Cruise were first approach for the part. After Henry Cavill was added, the budget of the film was cut. So I don't know how confident Warner Bros. is with this movie. It is a remake of tv show. Many remakes are not successful. Second, it is opening in January. January is generally a bad month for the box office. Third, I don't know how many people were fans of the show. I never saw it. I don't know if many people are interested in a 1960's spy movie. Fourth, outside of this fan page, I don't see too much hype for this movie. Not many people are talking about it. Superman/Batman project has a lot hype. People are anxious for updates. People want to see the Batman suit. People are talking about whether or not kryptonite will be added. People want to see Superman battle Batman. It has yet begun to film. Most people expect this movie to break a Billion dollars in the box office. So I don't know which miovie is better for Henry Cavill's career. The movie business seems to depend on a lot on numbers. A bad actor keeps on getting work as long as he can fill the movie theater. Henry Cavill is talented but he needs more box office hits. Immortals did okay but his biggest hit is MOS so far. So why should he give up Superman? It's Napoleon Solo in Uncle. As far as I've heard he's not on board the Millenium Falcon. Just because the UNCLE budget dropped after Cavill was cast does not mean WB is not confident in him or the project. That's the same argument people make about MOS. WB not confident in a stand-alone MOS 2 or Cavill so they bring in Batman and WW to save the film. I disagree with both arguments. it is not the same thing. WB having Uncle release in January cause a lot of people to wonder what is wrong with the movie. WB adding Batman and Wonder Woman is debatable. Rumor has it that adding Batman was planned even before MOS premiere. It was just announce early due to a leak. Snyder had to make sloppy announcement before schedule because somehow a reporter found out. Goyer had already began to work on the script. Many use easter eggs in MOS to prove this point. In MOS, you see a Wayne satellite being destroy, Lex Luthor building and a woman riding a horse on an island. Many speculate the woman is Diana. I think WB gave Cavill UNCLE because they'd decided last summer to not continue MOS. He still gets a potential franchise. And Cavill/Superman is being used in Batman/Superman and JL giving Cavill his originally planned 3 Superman film appearance. Didn't WB set the UNCLE release before it filmed? How could they know anything about the film then? First, Henry Cavill casting in Uncle was announced about a week after MOS premiere. It had a huge opening weekend and beat many Marvel movies. So it would make no sense not to continue with the franchise. Second, Uncle's release date was not revealed until February of this year. I literally cannot wait to see this film! I think we are all ready to see Henry show a different type of character than anything he has played before. He is obviously a very good actor so I know he will knock this one out of the park too! 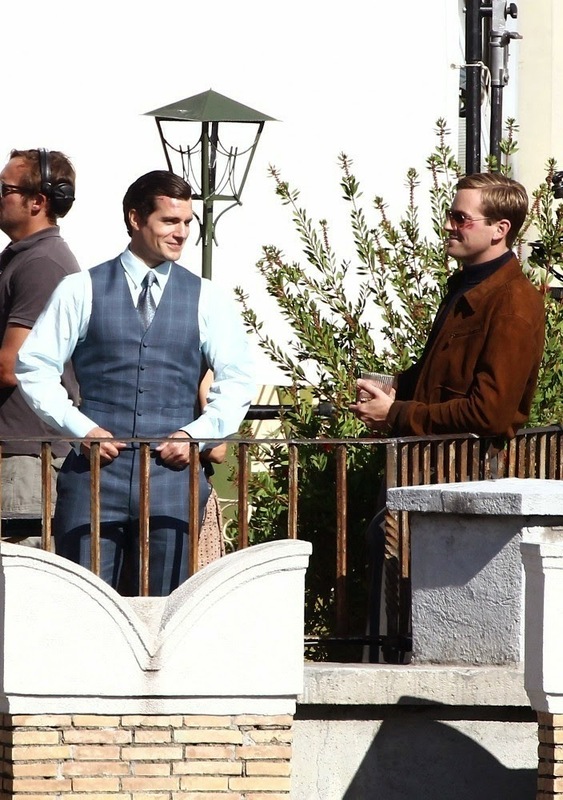 I certainly hope The Man From UNCLE is a huge hit and Henry is praised for his role, etc. BUT I also hope he continues as Superman...a part he fits to perfection!!!! And I wish him luck in whatever future projects he chooses. Go Henry! I agree, would like to see diversity in his acting, he's very talented I loved him in Tudors as Charles Brandon. But I don't want him to drop Superman, he has a killer fan base as this character because he fits this role like a glove. I hope as well that Solo does well. Rooting for you Henry!! Henry is being pushed aside a bit for the next film. JL? With a slew of new actors? His role will shrink a lot in that film (5 main heroes, 2/3 main villains). After that WB doesn't look like it will continue with MOS. At least based on rumors that the name of Batman vs Superman will not include Man of Steel. WB dropping the brand if that is true. If that is the case that he is being dropped as Superman after JL then why not leave before JL? He is contracted for at least three movies as Superman. It is one thing for Warner Bros. to change their minds, and another thing for Henry Cavill to break the contract. It might have a negative effect on him and his career. He was hired originally to play Superman. If WB is not going ahead with the MOS franchise you'd think they'd be open to discussing things with Henry and maybe letting him pass on JL. The set career he expected for 10 - 15 years with MOS is not there now and he has to consider other options. Honestly, I can only guess what going to happen with MOS franchise. I hope it does well and it continues. The only thing I am confident about is Mr. Cavill's talent. He has done well in large cast before, such as The Tudors. He is also did well in the Count of Monte Christo. A good actor does not need to be main focus to show his tatent. He will perform well in 5 minutes or 90 minutes. For an example, Tom Hiddleston is the villiian in the Marvel movies but yet it seems he is more popular the Chris Hemsworth. In the Avengers, Tom HIddleston had share the screen with Robert Downey Jr., Scarlett Johanssen, Chris Evans, and Samuel L. Jackson. Everyone seems to be talking about him. Also Michael Shannon was in a small role in Revolutionary Road but recieved Oscar Nomination. I think Mr. Cavill has the ability to shine no matter how big the cast is. All speculation right now. WB will announce its DC film schedule at Comicon. It either will or will not include more Man of Steel films. If it doesn't, Mr. Cavill has UNCLE and its a safe bet WB offers him other films to compensate for MOS not turning into a franchise for him. Not to mention other studios. MOS may not have became the massive franchise some hoped for, but it has given Mr. Cavill massive exposure and recognition. Affleck and Gadot are new to the roles and their suits will be new. One reason all the focus at movie sites is on them right now and not Henry. Once the suit reveal is over for a while hopefully Henry will et more of a share of the spotlight. Who else is bored with speculating about both MOS II and Uncle? I am. Who else wants to talk about other possible roles? It could be anything. Personally, I want to see Mr. Cavill in a musical. He is suppose to have a beautiful singing voice. If they ever remake "The Phantom of Opera", I want to see Mr. Cavill as the phantom. He can show off his talent and be a villian at same time. Me, me. MOS2 is turning into a train wreck despite Henry being in it. Not looking forward to it at all. Waste of 8 months of Henry's time when he could be filming other things - like a musical. Love the Phantom of The Opera idea. Can't wait until its official that MOS will not be continued. please, please - set Henry free. Love it. 'Set Henry free!!' can be our new mantra. MOS II is not really a train wreck. It going through the same problems any big budget movie goes through. We are just hearing more about it because people are too excited about it. The Man of Uncle had a couple of cast changes before production. Thor was delay too due script.. Early this year, I was viewing Henry Cavill's resume on IMDB. It listed The Great Wall as a future project. The Great Wall went through change of director and one its actress was sue. Things just happen all the time, but because MOS II hype, we just hear more of it. LOL. An image comes to mind of hundreds of Henry's fans outside WB in Burbank shouting "Free Henry now!" I know! Right? So ridiculous! Like all these commenters know so much about the movie industry, and what's best for his career. Henry has an agent and team of professionals advising him about his options. Our role as fans should be to cheer him on and support the projects HE decides are right for him! He's an intelligent man. Give him credit that he can run his own life, for goodness sake. I just want to see him be successful and happy! Oh yeah he is probably getting all kinds of advice. It'll depend on the WonderCon announcement. Wonder Woman and Batman films are rumored to be announced and the biggie - JL. If another MOS isn't announced it likely means WB is passing on more Superman. Henry will be able to make informed decisions once he knows what WB has planned or not for him as Superman. I'm really interested in Henry getting the 007 role after Daniel Craig. He'd be perfect for that part as I believe he's perfect for the Napoleon Solo part. I hope he gets both franchises. I think enough time has elapsed between the TV series The Man from Uncle and the movie. 'Justice League' Reaction Post: Weeeeeeeeee! Henry Sighting In Detroit & We Melt In 3.. 2..1..